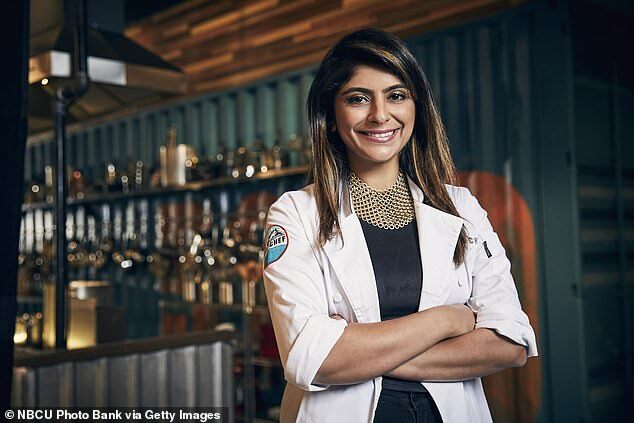 Top Chef’s Fatima Ali has died of bone cancer at the age of 29, just months after being told she had just a year to live. 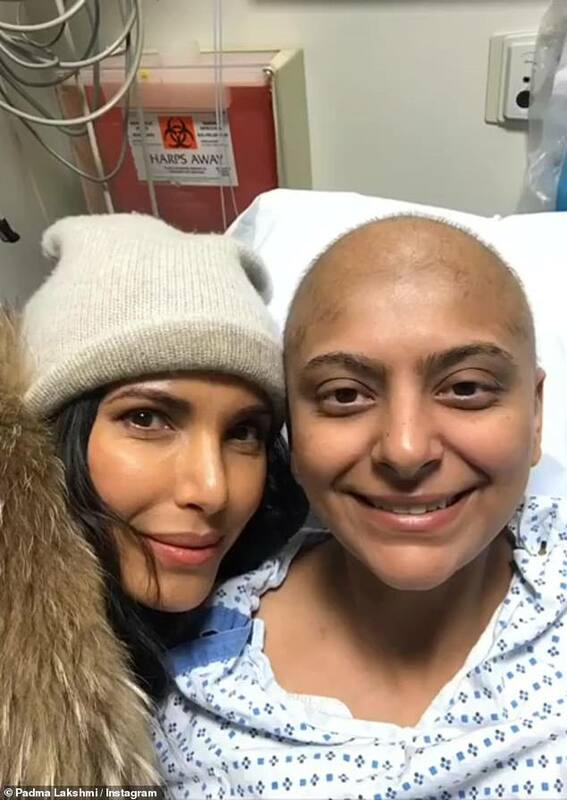 Fatima was first diagnosed in 2017 with Ewing’s sarcoma, a fairly rare cancer that affects bones and the tissues surrounding them. 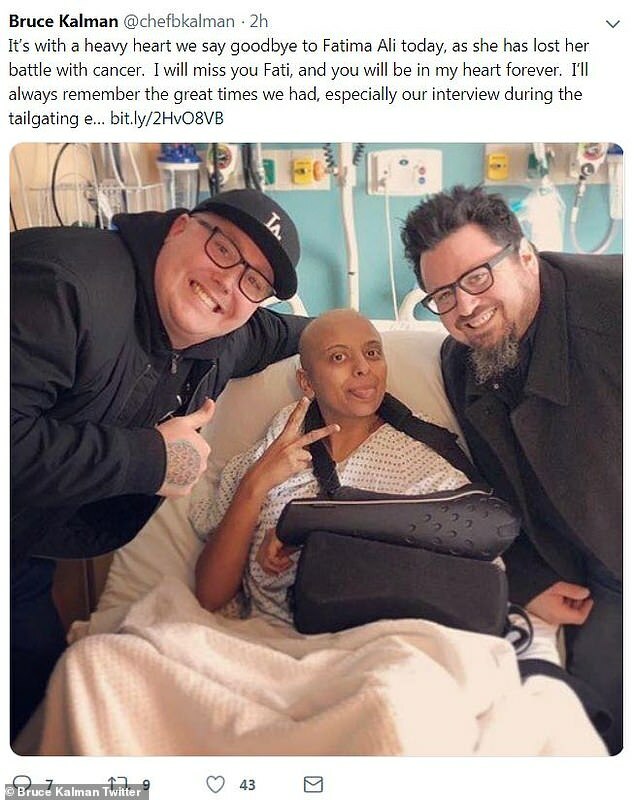 She underwent aggressive rounds of chemotherapy, followed by surgery to remove the cancer in January 2018, shortly after filming Top Chef. Fatima was initially given the all clear following her treatment, but in October tests revealed the cancer had returned and was now terminal. She was given a year to live. 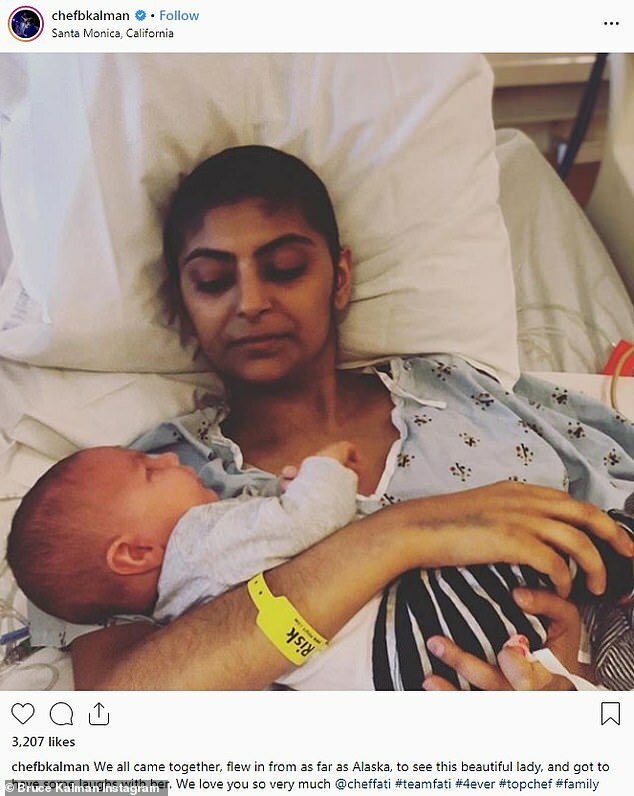 Earlier this month Fatima posted a photo to Instagram in which she revealed that she was getting sicker. In her photo, Fatima appears from the neck up with a soft smile on her face. The Chopped winner seemed to be addressing a higher power and asking for forgiveness. ‘I hope, because a wish is putting on too much responsibility on the other, that you will somehow find forgiveness in your big heart for whenever I must have hurt you. 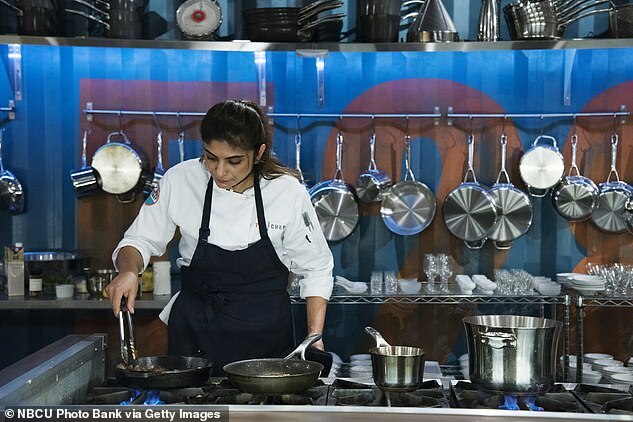 On Friday the tributes flooded in to the young chef, who was named Viewer’s Favourite on the show. 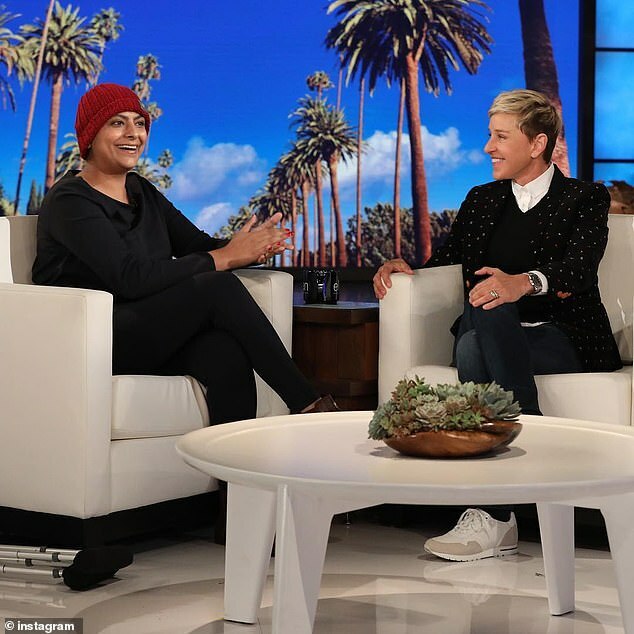 Ellen DeGeneres shared a picture of Fatima on her show, writing: ‘I was lucky to share this visit with Chef Fati. I wish I could have shared more. 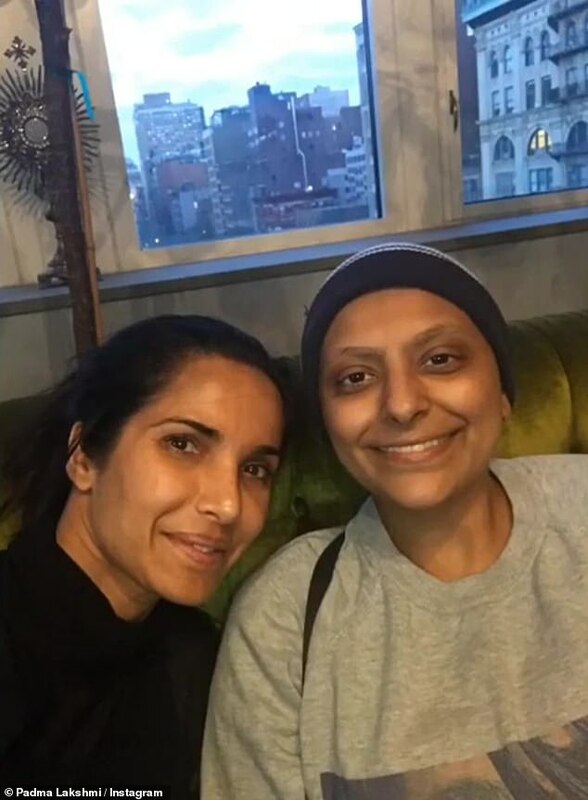 Top Chef host Padma Lakshmi had formed a close bond with Fatima since working together two years ago. 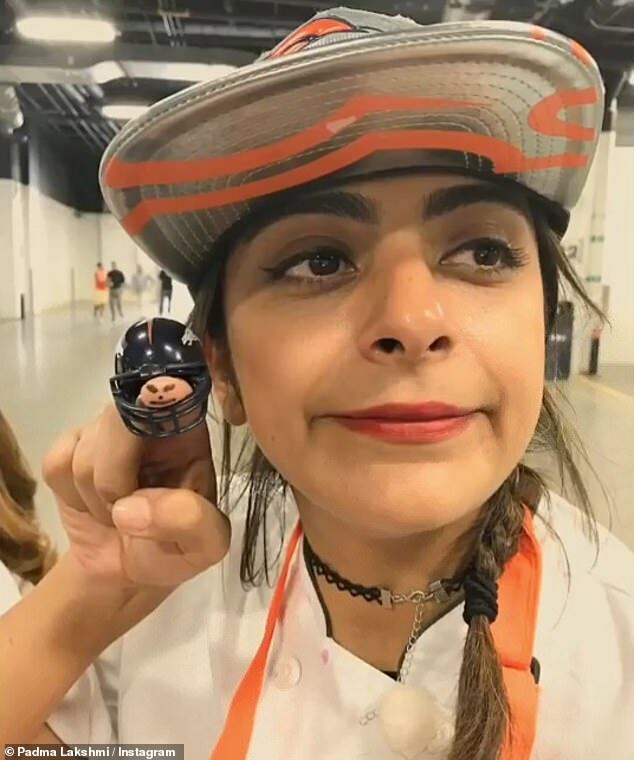 She wrote on social media: ‘Goodbye lil’ sis. One of our brightest stars has fallen from the sky. 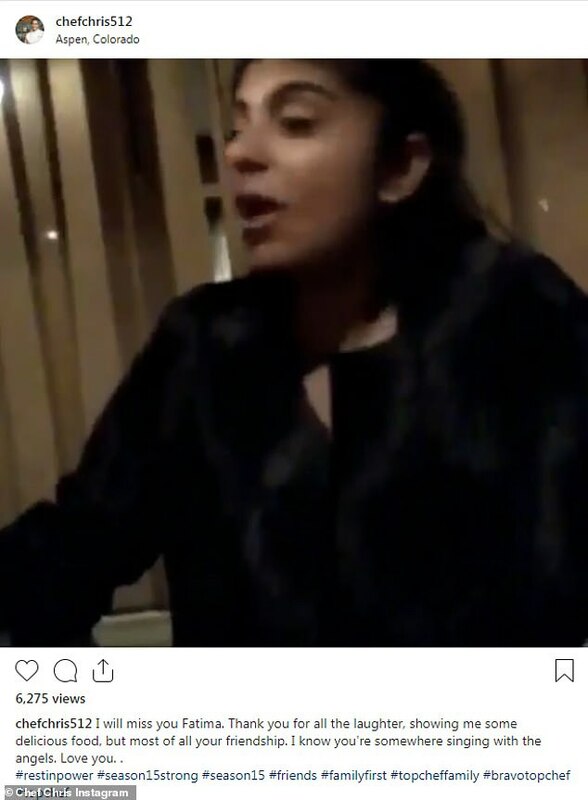 Aliza Raza shared the devastating news of Fatima’s death on Instagram, writing: ‘Fatima Ali (Chef Fati!) and her brave battle with cancer ended today. Chef Tyler Anderson shared a sweet photo of himself touching heads with Fatia. 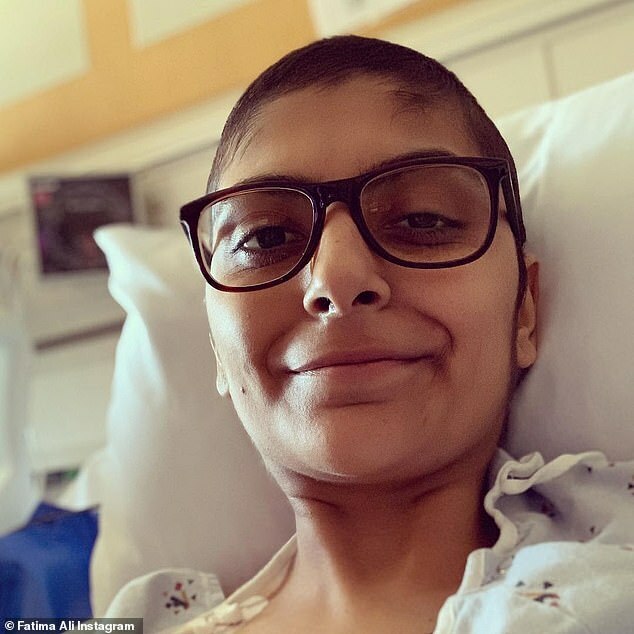 In October, Fatima published a moving essay revealing that her cancer had returned, and been found in her hip and left femur. ‘I was looking forward to being 30, flirty, and thriving. Guess I have to step it up on the flirting. I have no time to lose,’ she wrote. 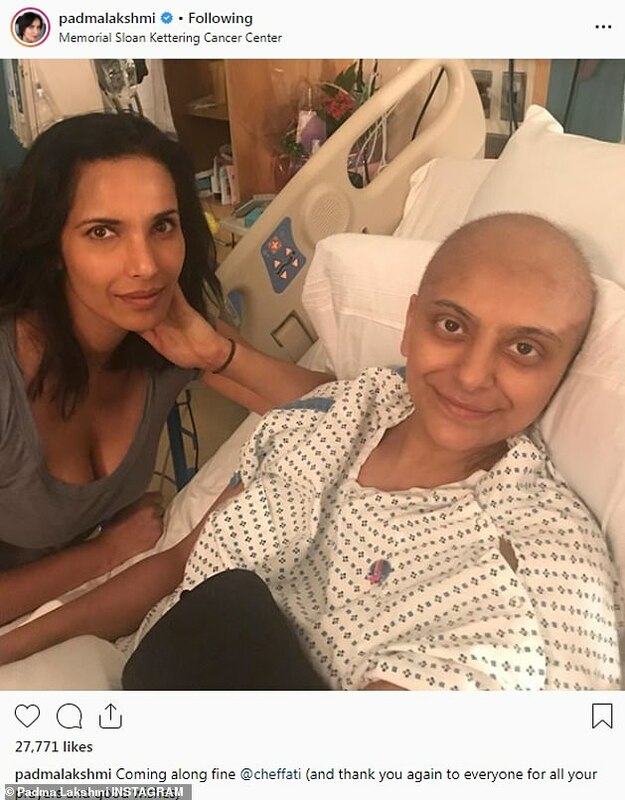 Earlier this month her friends from her time on Top Chef family flocked to Southern California to be with Fatima in her time of need. Chefs Joe Flamm, Adrienne Cheatham, Tyler Anderson, Bruce Kalman, Tanya Holland, Claudette Wilkins, Carrie Baird, Rogelio Garcia, Chris Scott, Tu David Phu, Joe Sasto, Melissa Perfit, and Laura Cole traveled from far and wide to be there. ‘We all came together, flew in from as far as Alaska, to see this beautiful lady, and got to have some laughs with her. We love you so very much,’ chef Bruce wrote with one Instagram of his travels. 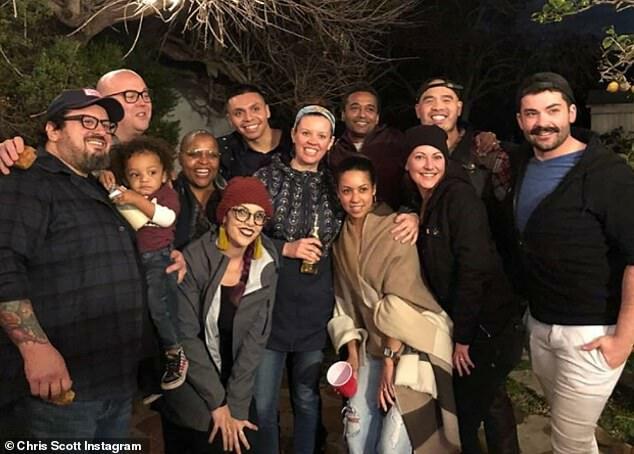 The Bravo gang gathered to show that they were ‘Season 15 strong’ in a group photo of their travels reposted by nearly everyone. Fatima was not in the photo, however. ‘A bittersweet reunion. Our dear @cheffati is the glue…we are bonded forever now,’ chef Tanya Holland wrote. 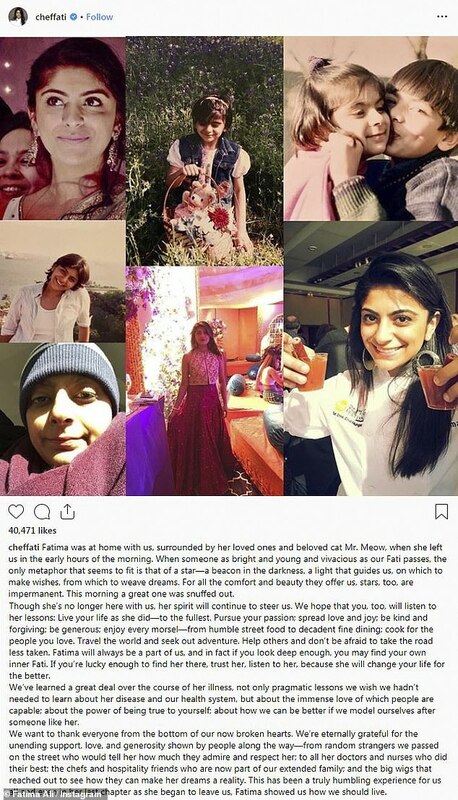 Echoing her message, Melissa Perfit shared: ‘So bittersweet to see all these amazing friends come together to see our sweet @cheffati . It’s impossible to explain how we all feel. You are so amazing. We love you so much. Some of the chefs even brought along their offspring to cheer Fati up.